His lawyer said that Tatkov went abroad for treatment. The former head of the Supreme Economic Court Viktor Tatkov, who is suspected of illegal distribution of cases, went abroad for treatment, a source in the General Prosecutor's Office told Ukrainian News on 4 November. "His lawyer said that Tatkov went abroad for treatment," the source said. The PGO has not asked a court to restrict the movements of the former judge. 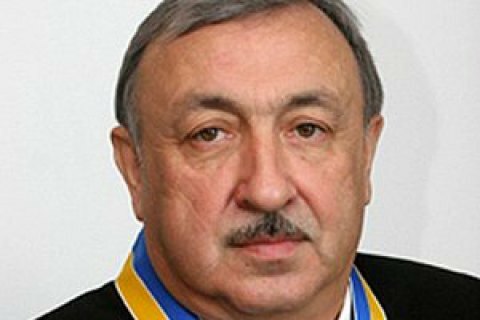 Earlier, a court released former Tatkov's deputy, judge of the Supreme Economic Court Arthur Yemelyanov, who is also suspected of illegal distribution of cases on 1.5 million hryvnia bail. Verkhovna Rada on September 29 dismissed Tatkov within the lustration process. On 18 October, Prosecutor General's Office brought charges to Tatkov and Yemelyanov on suspicion of unlawful interference with an automated case assignment system. Tatkov and Emelyanov both hail from Donetsk region. According to media reports, they have created a system of "Donetsk justice" in Kyiv's courts in the times of Viktor Yanukovych's presidency.